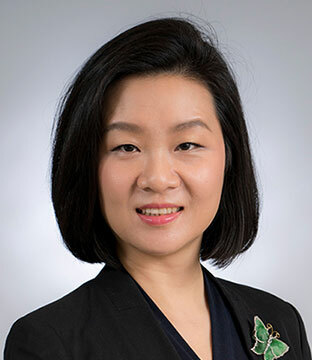 Diane Fan’s practice focuses on U.S. and Hong Kong capital markets transactions, mergers and acquisitions, corporate finance and general corporate matters. She advises clients on venture capital / private equity matters, initial public offerings (IPOs), corporate restructurings and mergers and acquisitions. In addition, Ms. Fan advises Chinese clients on making outbound investments as well as foreign clients in investing in China. Advised a Hong Kong based Securities Investment Company in its pre-IPO restructuring. Advised a Hong Kong based private equity fund in various private equity and venture capital financing projects. Advising a solar energy company in its resumption of listing on the Hong Kong Stock Exchange. Advised a clean energy power company listed on the Hong Kong Stock Exchange in connection with a US$500 million senior guaranteed notes listed on the Hong Kong Stock Exchange. Advised an investment company in a US$500 million bridge loan to a PRC based company and in various equity and debt financing projects. Advising a Hong Kong based investment company in various equity and debt financing projects. Advised an European fund in its repurchase transaction with a major commercial bank in Hungary with respect to the Hungarian state special bonds and the hedge financing; the deal size is EUR80 million. Advised an European fund in its repurchase transaction with the London Branch of a German bank with respect to the Hungarian state special bonds and the hedge financing; deal size is EUR65 million. Advised a real estate investment company in acquisition of a real estate project in Budapest, Hungary; deal size is EUR8 million. Advised an European fund in its fund formation and launch; the investment strategic focuses on the Hungarian state special bonds and the hedging financing; fund size EUR16,500,000. Advised the launch of an European fund with fund manager; investment strategic focuses on the Hungarian state special bonds and the hedging financing; fund size EUR18,000,000. Represented an asset management company in its US$50 million investment into a PRC healthcare business. Represented a U.S. leading materials manufacturer in the sale of its equity holdings and assets in a joint venture in Shanghai, China. Represented an investment bank in a bidding of a sale of a real estate project in Beijing, China. Advised a U.S.-based PE sponsor on the formation of an RMB fund in China. Advised an administration committee of a U.S. listed PRC based solar energy company on a reorganization and liquidation proceeding in the PRC. Represented a Hong Kong listed real property developer in Shenzhen, China in connection with its debt offering on the Singapore Exchange with the proceeds of US$250 million. Represented two of the largest commercial banks in the PRC in connection with their concurrent rights issue of A+H shares with the proceeds of US$4.8 billion and US$8.9 billion, respectively. Represented a private equity fund in connection with a Series B round financing of US$50 million in a media company in Beijing, China. Represented the Chairman of a NYSE listed insurance company in Guangzhou, PRC with respect to its going private transaction (project unsuccessful). Advised on ongoing compliance and corporate governance matters for a U.S. listed coal mining Company based in Lianong Province, China. Represented an on-line shopping for sportswear company in Beijing, China in connection with its Series A round venture capital financing of US$5 million. Represented a mobile gaming software development company in Hangzhou, China in connection with its Series C round financing of US$7 million. Advised on pre-IPO restructuring matters for a NYSE listed education company in Beijing, China. Advised on pre-IPO restructuring matters for a biochemical company in Beijing, China. Represented a U.S. investment management firm in connection with its QFII license and SAFE quota application; advised on the QFII’s compliance and annual review.